Even crying children will be shocked into silence! 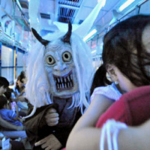 Top 5 most terrifying Yokai (Japanese ghosts) in the world! 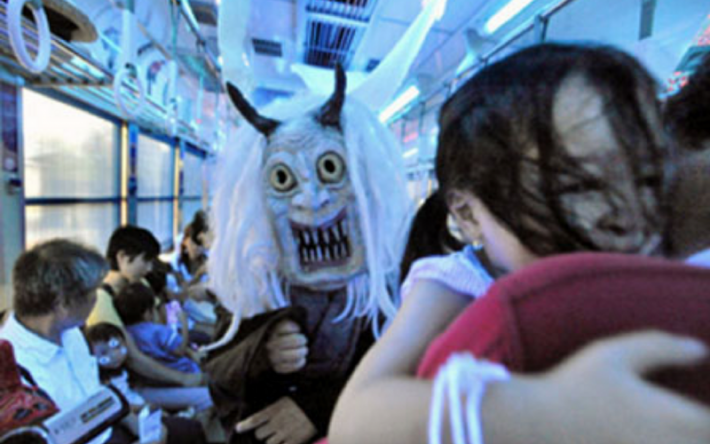 Yokai have been around for a long time, existing before even you or I were born. But today we will take a look at a couple of relatively recent yokai, in this selection of modern yokai. Yokai refer to strange apparitions or strange forces that cause unusual and happenings to occur. These apparitions and occurrences cannot be explained by science, are incomprehensible to humans, and have been passed down in folklore stories in Japan. They are also referred to as ayakashi, mononoke, and mamono; all signifying strangeness, spirits, or demons. A young woman wearing a surgical mask asks some kids on their way home from school “Do you think I’m pretty?” When they answer “Yes” she continues to ask them “Even like this…?” as she removes the mask. In doing so she reveals her mouth, that is cut from the corners almost to her ears. If the next answer is “no, you’re not pretty” then she kills her victim by cutting them up with a knife or scissors. This figure is said to have appeared in public in Japan in 1979. As the story goes, in the toilets on the third floor of the school building, if you knock three times and say, “Are you there Hanako?” on the doors of all the cubicles from the closest to the door to the furthest away three times, a voice will faintly answer “yes” from the third cubicle. And if you open the cubicle door you will see a girl in a red skirt with a bowl hair-cut, and the person who opened the door will be dragged into the toilet. This is is the manga by Japanese manga artist Shigeru Mizuki that was introduced previously by WWM as the Japanese manga artist with ties to Papua New Guinea. 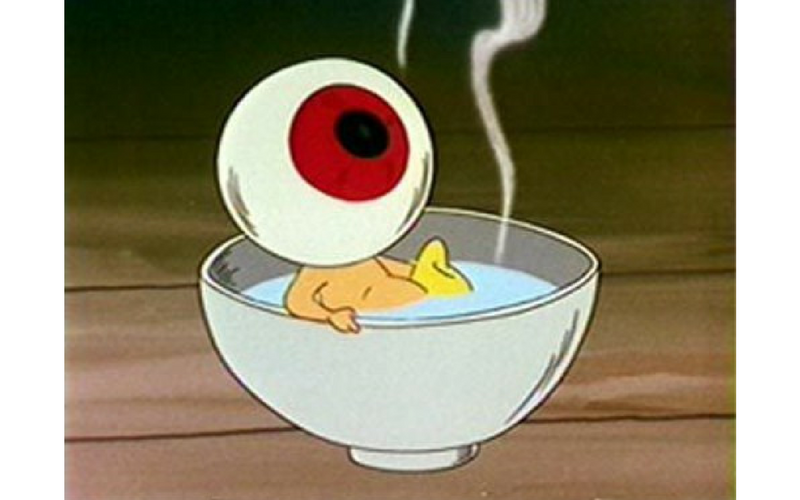 Read on to learn more about three yokai from his most famous work ‘Gegege-no-Kitaro’! This character is half-human half-yokai. He the hero figure who gets rid of bad yokai. He has a special power that allows him to regenerate, meaning that he can recover from any condition. 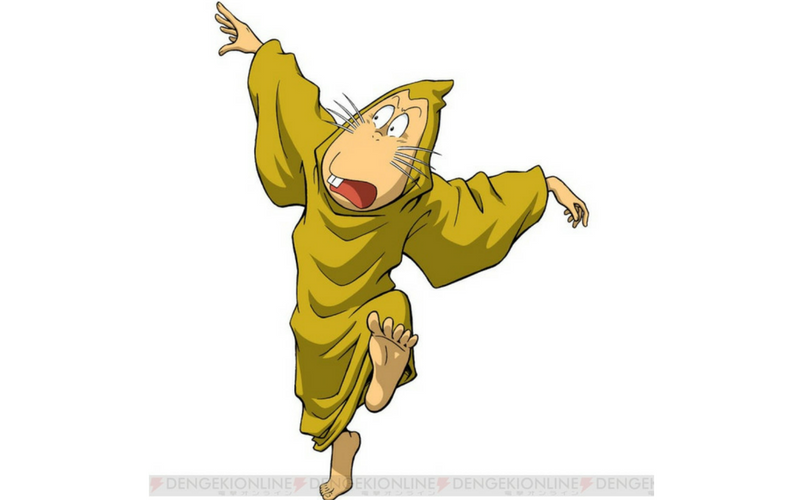 This character is Kitaro’s father. He suffered from a melting disease that was incurable. After dying his spirit was stored in his eyeball, leading to his current form. He enjoys bathing in a rice bowl in his free time. 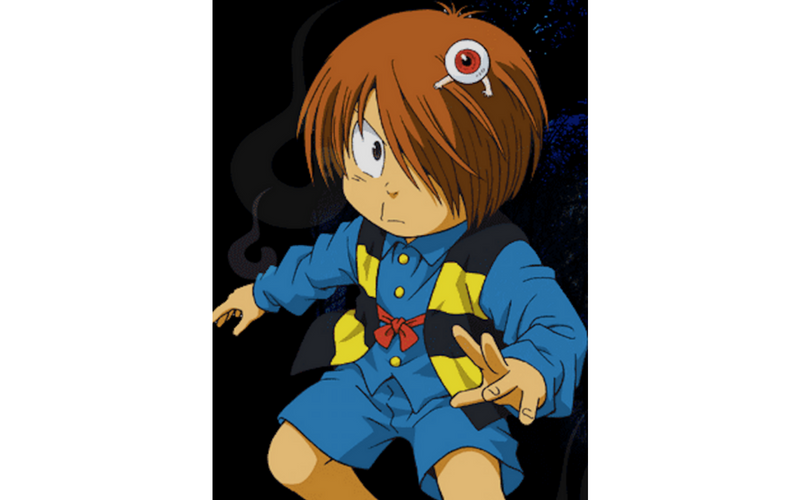 This character is Kitaro’s undesirable friend. He wears robe-like clothing, and is also half-human half-yokai. He lacks cleanliness, and rarely takes a bath. [ J HORROR ] True Horror Stories is an omnibus drama based on real spiritual and supernatural experiences. Known as "HonKowa" in Japan, these realistic reproductions will send a chill down your spine even in the summer heat. If you feel something behind you when you're alone at night, don't turn around...or you might be next!